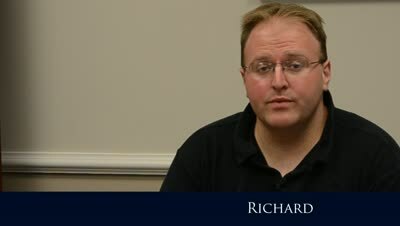 Personal Injury Attorney Peachtree City GA | Jason R. Schultz P.C. Small Enough to Care, Experienced Enough to Win. When a car crash, slip and fall, medical mistake, dog bite, or construction accident changes your life in an instant, you need an experienced personal injury attorney to take up your fight. Our dedicated attorney treats each client like family and will fight to get the insurance settlement you deserve. 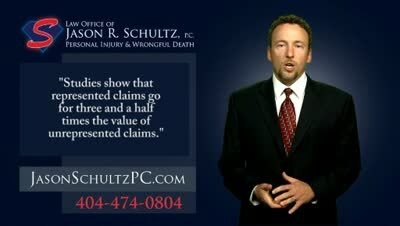 I was introduced to Mr. Schultz through a trusted friend, and she told me the truth, HE IS AN EXCELLENT LAWYER!!! He and his staff treated my family and me with so much care. I really feel he cares and he went out of his way to ensure my daughter is taken care of in the future. Client Recommends Hiring Peachtree City Personal Injury Lawyer Jason R. Schultz P.C. Looking for an Injury Lawyer in Newnan or Peachtree City? 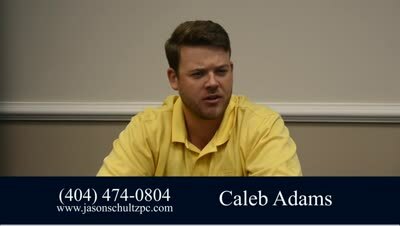 Watch this Video Testimonial of Caleb Adams and his Experience with Jason R. Schultz P.C. 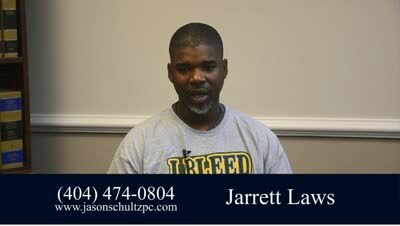 Past Client Recommends the Legal Services of Jason Schultz Before hiring a lawyer in the Atlanta area for your injury case, find out what other clients say about their experience working with attorney Jason Schultz. 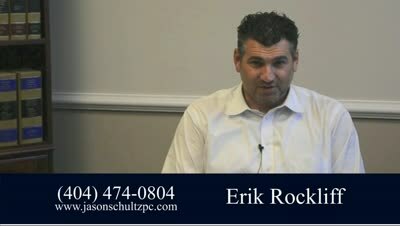 What to Expect When Hiring Attorney Jason Schultz Watch this short video to hear what a previous client of Jason Schultz has to say about his experience with this law firm. In today’s fast-paced world, we don’t often concern ourselves with what could happen. But for those whose daily routines have been interrupted by an unexpected accident or tragedy, what could happen becomes a very real issue. The things we take for granted – things such as health, income, and quality of life – are transformed into uncertainties. When faced with the difficulties that come with an unexpected injury due to the negligence of someone else, you need personalized advice as opposed to being shuffled about by a large law firm. Jason Schultz understands the fears and questions you have in the wake of a tragedy, and he has the knowledge and experience to guide you through the legal actions necessary to help you receive the insurance settlement you deserve. 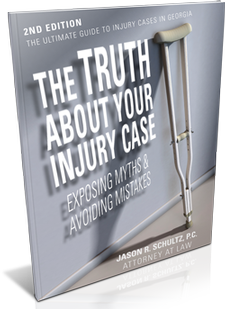 For 20 years, Jason Schultz has been representing people in the Atlanta Metropolitan area and throughout Georgia who have sustained injuries or have lost loved ones due to car accidents, tractor trailer accidents, medical malpractice, or because of unsafe conditions on private property. 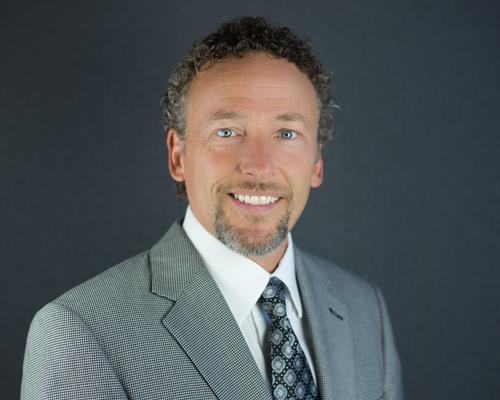 Not only does Jason Schultz have the legal expertise to recover the damages you deserve, but he is dedicated to giving his clients the personal attention they require in their time of need. While we can’t guarantee an outcome for your particular case, we share our recent case results so you can get an idea of what we have done for clients with cases similar to yours.